Your hosts are Anne and Richard Frankland. After having lived abroad for more than 30 years, it was time to come back to New Zealand, change lifestyle and live in peaceful and beautiful surroundings – a relaxing environment which we invite you to share. 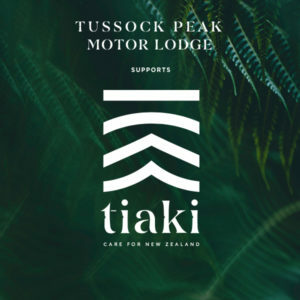 Tussock Peak Motor Lodge has been our home since September 2016. We are part of a team of staff whom you may meet while visiting – we are all dedicated to making your customer experience an enjoyable one. Say a special hello to us next time you stay, the most fun part of our new lifestyle is meeting so many wonderful people, hearing about your travels, what you’ve enjoyed in Hanmer Springs and being able to offer some tips that can make your stay just a bit more wonderful. Our whole team believes that you, we and our environment deserve the best solutions possible to stay healthy and preserve our ecosystem. Cleanliness does not smell of fragrance nor of chemicals. We clean using the famous ENJO fibre cloth cleaning system and water. The fibres attract and hold the dirt and bacteria effectively and efficiently without the use of toxic chemicals. 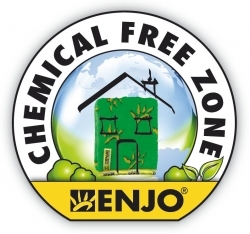 The ENJO method allows us to clean six times more hygienically compared to conventional methods. Environmental impacts include: reduced chemical waste, reduced chemical exposure to staff and guests, eliminated chemical cleaning odours (intolerance and allergies to perfumes is increasing in the population). We hope you can see and feel the difference! ENJO’s ability to remove bacteria is documented in detail by the University of Canterbury (New Zealand), Murdoch University (Perth, Australia) and the Austrian Department of Health. If you want to know more about ENJO and perhaps use it in your own home please ask at our reception. You can help too. 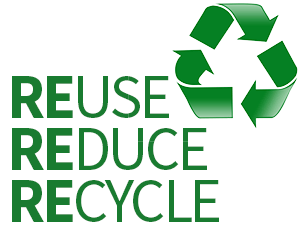 Recycling bins are available in all our units and we encourage you to use them. You can also reduce our water and power use by choosing a “green service“, keeping your towels when staying several nights (we replace them if they’re on the floor, but not if hung up), and turn off lights and heaters when out. After trialling many different brands and types, we have now found a good quality 100% recycled paper product for toilet tissue, one that is both strong and soft. We supply NZ made Forest & Birds soaps and shampoos, a portion of the price of which goes to support Forest & Bird’s work in protecting our native animals and wild places, on land and in our oceans. These soaps are free from animal by-products and made with certified sustainable 100% vegetable base, enriched with Manuka Leaf. We use LED lighting in all our property, reducing electricity consumption throughout the year. We use fair trade and organic options for tea and sugar and can upon request offer you complementary organic soya milk instead of the complementary cow’s milk. We have eliminated plastic bags from our central rubbish collection, and reuse those in our recycling sorting system. Where we have to use plastic rubbish bags we use compostable plastic bags wherever possible. Compostable plastic breaks down without creating micro-plastic rubbish from biodegradable plastic bags! We have replaced our old wall heaters with new more efficient wall heaters. The power button on the top allows you to choose between “II” for faster and efficient heating to get your room warm quickly, and “I” for maintaining the heat. Set the thermostat to a comfortable temperature. You can turn them off when out, the room will keep its heat well while you are away. We have fitted efficient extraction fans in the bathrooms so humidity does not build up, improving the healthy atmosphere, reducing the need for airing and re-heating rooms again. We have new high efficiency washing machines, using less power and water, and most importantly for you, using commercial high efficiency laundry detergents that remove your exposure to detergent residues and risk of allergy triggers. 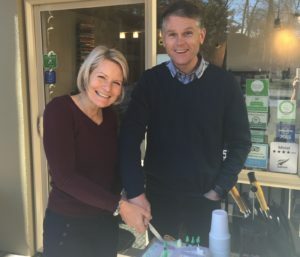 We support the Hanmer Springs Conservation Trust, by funding the purchase of a predator trap. If you wish to participate in efforts to create a safer place in Hanmer for our native birds, this is a great way to do so. If you can think of any other ways we can reduce our environmental footprint, we would be very pleased to hear from you. Qualmark have revamped their assessment system, and while it’s easy to recognise the 4-star part of the logo, few people would realise that the old 4-star is not the same as the new 4-star, and as it is so new, you probably haven’t heard what the difference is between Bronze, Silver or Gold. Is the motel doing as much as it can to have a light footprint on the environment? Does it have procedures in place to make sure your rooms are truely cleaned and maintained? Does it use effective health & safety procedures? Do they act on complaints? Is the business sustainable, do they keep records of complaints, cleaning cycles, health & safety, staff training? Are they meeting legal requirements for safety, staff contracts, staff training? Bronze, Silver or Gold? 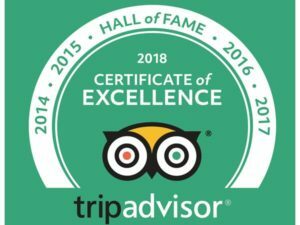 Bronze means a motel meets the minimum requirements, Silver is “evidence of a sophisticated tourism business that consistently exceeds visitor expectations”, whereas Gold means they lead the way. At Tussock Peak Motor Lodge we are proud of getting a Gold award after only 2 years in the business. Qualmark says that all motels have been reassessed by now, therefore if you see the old black and yellow Qualmark sign, what was 4-star before may not be 4-star any more. Ask them what their new rating was, or you can look them up and see if they are still approved by Qualmark.